A beautiful, clean branded eCommerce website. 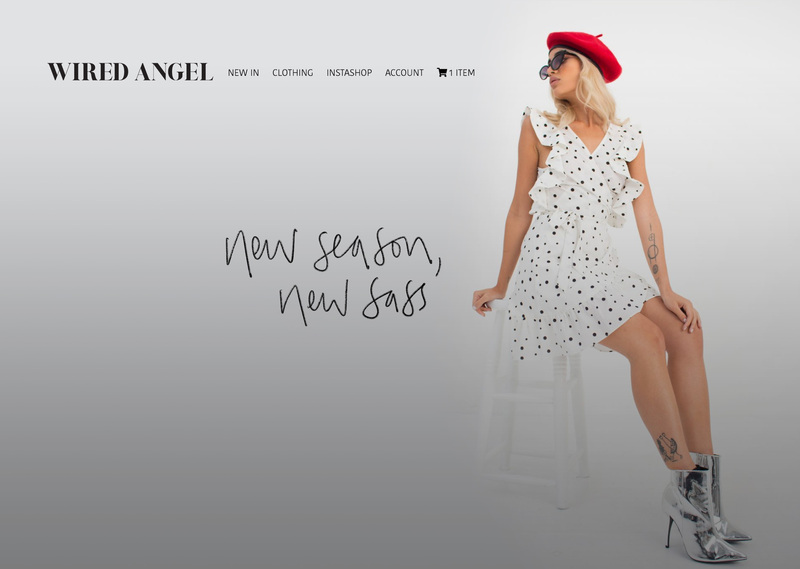 UK and Ibiza based Wired Angel have experienced fantastic growth with their luxury bohemian fashion brand. To complement this growth, a new website was needed. The brief was to develop a site of clean design, fresh looking, modern and engaging. eCommerce functionality was an essential part of the new site to help generate greater online sales. Naturally, they came to Gooii Nottingham to see if we could help. In addition to the design requirements, we also needed some more advanced features for the site. Beautiful photographs of their clothing, accepting online orders and allowing discount codes too. A fantastic instashop would also be essential to give the full e-commerce experience. The best solution for the client was to create a new WordPress website using a Divi theme. The site required bespoke coding in areas to really help present the shopping experience as their founder envisaged. WordPress is fantastic for business owners who wish to be self-sufficient and add content to keep their site fresh and new. This also helps with search engine optimisation to help you get higher up the Google search results. Additionally, it allows change of content whilst keeping the design consistent and in line with their corporate brand. The WordPress platform is designed for this exact purpose and has lots of fantastic standard plugins that can be used to give users advanced features at a low cost.